SEMRush! Most of you might have heard a little about it, some might have seen some banner ads about it on different websites and if you are related to Internet Marketing, Digital Marketing or a relevant field to this then I’m sure, You might have visited their website. It’s a pretty common tool for webmasters, bloggers and search engine marketers. So I have written article on this tool, Semrush review. So this is going to be a full fledge review about one of the famous tools which is being used by Digital Marketers, SEO Professionals, Social media experts, website owners and many professionals who have an online presence. I hope you find it useful. 0.1 What You Will Learn in This Article For Semrush Review? 1.1 What are the features of SEMRush? 1.1.7 Position tracking and monitoring. 1.2 What I like about SEMRush? 1.3 What’s Missing in SEMRush Review? 1.4 How SEMRush can help in increasing your website traffic? 2 How to do Keyword Research For SEO & PPC via SEMRUSH? 2.1 But How to Find Profitable Keywords That Not Only Ranks Well But Brings Sales Too? 3 How to do Competitor Analysis for SEM & Google Adwords via Semrush Review? 4 How to do site audit using Semrush? 4.1 How SEMRush can help you in Search Engine Optimization? 4.2 How SEMrush can help you in PPC (Pay Per Click) Campaigns? 4.4 How It can help your business? Is SEMRush for me? 4.5 But what about Pricing? Let’s have a look on what SEMRush is offering. 4.5.2 However in the end..
4.6.1 What Functions SEMRush have? 4.6.3 How much does SEMRush cost? 4.6.4 Can SEMRush help me in improving my organic rankings? 4.6.5 Does SEMrush helps with Youtube Video SEO? 4.6.9 Is this a Paid SEMRush Review? What You Will Learn in This Article For Semrush Review? What is missing from SEMRush? Keyword Research For SEO & PPC via SEMRUSH? How to do Competitor Analysis for SEM & Google Adwords via Semrush? Doing site audit using Semrush? Can Semrush help you in Search Engine Optimization? How Semrush can help you in PPC (Pay Per Click) Campaigns? You will learn How It can help your business? Is Semrush for me? It all starts with entering a domain, url or keyword in the search bar. Just for your information, SEMRUSH has a database of 28 countries over Google and Bing. So you have ample of countries data to research on. You can research Keywords to rank for. Track Competitors, Finding where they are ranking well. Observe position changes for your site in Google and Google country specific listings. It can help you with Search Engine Marketing, PPC (Pay Per Click) and Paid Marketing. Find their Ad copies and bidding strategies. Observe and analyze before you do mistakes, waste money and learn from them. Analyze top publishers and advertisers. Uncover other display advertiser strategies. (Their headlines, success strategy, bidding strategy, placements, banners and a lot more). Catch new advertisers and monitor them so u can learn from their strategies and observe how do they change it over time. Find how same advertiser performs over different devices. (This also helps you in finding which devices are going to be best for your campaign and where to spend your most budget). Read : Google Ads Case Study where i used Semrush to maximise my earning potential with Google Ads. Find and fix your website issues, such as duplicate content, meta descriptions, broken links, alt descriptions and other things which are necessary to get the best score. Research on your own Backlinks as well for on your competitors backlinks. It also helps with Content Planning. If you are constantly worried about your serp position rankings and looking for a good tool which can track it automatically, you can rely on this tool. It’s great library also helps with video research. Semrush also helps with Product listing ads. It also has various Social media tools which can enhance your digital marketing skills and experience. What I like about SEMRush? SEMRush comes with one of the industry’s finest customer support, a large community of users, and a good knowledge base available to every subscriber. They also actively contribute to the community by actively doing weekly webinars on SEO/SEM/PPC/SMM issues and tutorials. SEMRush can be easily integrated and connected with Google Analytics and search console to track the website performance. They never get satisfied, SEMRush team is continuously enhancing, updating and adding more features to it’s tool. It’s an all in one digital marketing tool. What’s Missing in SEMRush Review? Obviously, nothing is perfect and everything needs improvement. A success of any product lies on open to criticism and new on-going development of the product. There are few features which I feel are missing with SEMRush. Lack of white label reports, although you can brand your own logo but still your clients will know that you are using SEMRush to obtain data. The data is always not accurate, I have personally experienced it, sometimes it’s shown a little more then what the things actually are, however to tackle that, by time I have my own experience and judgement to analyze it, but thats the feature where they need to work on. Comparative to what we are paying, it’s an awesome tool, but will be nice to see if they do add Facebook ads and Linkedin Ads analysis in their service, but even without it, worth every penny. When it comes to Paid Advertising, I couldn’t find more on Location Based Geographic campaigns and I did have a trouble in organising the ads, since I have the option to see all ads only. The display advertising is limited to Google Adwords Display Network Only, Having BuySell ads or Facebook ads can also be a great option. I would like to see something related to Instagram so people can use it to make money from Instagram effectively! It will be great if they can reveal about CTR performance for Search Results and Paid Listings for Specific Domains, I know I’m asking too much here, but it always be great to see this feature, some day. I also feel that the monthly subscription cost is quite high for marketers and most of the newbies think to buy it pirated or in a joint venture, which i strongly don’t recommend at all. How SEMRush can help in increasing your website traffic? According to a study at Search Engine Watch, a typical website may receive up to 64% of traffic from search engines. Even more; Most of the people typically type a website name in the search box to learn more about a website, it’s authority and it’s image. So it’s important to have organic traffic on your site. SEMRush can help you with finding out on what keywords you are ranking at the moment; how you can improve it’s position on search engine; what are your competitors ranking on; how you can rank them. Apart from organic traffic customer acquisition; SEMRush can be a big help if you are doing Paid advertising and interested in finding out on what kind of paid online marketing activities your competitors are doing. How to do Keyword Research For SEO & PPC via SEMRUSH? The importance of Keyword Research can never be under estimated! It’s your first step towards your SEO or Paid Marketing Campaign. Do checkout my article on The Right Way to do the Keyword Research for PPC & SEO. Semrush give’s us the ability to search them on country specific domains for Google to find how the competition is different at every TLD. I’m selecting Google US here as the Search Engine. Okay Now I have more then 200,000 + Keywords Variations relevant to what I’m searching for. The keyword research tool of SEMRush has been very effective for me, specially for my own Keyword Research when it comes to PPC & SEO. General Keyword Analysis with Organic Search and Paid Listing Details. Phrase Match Keywords Relevant to the Search Term. Related Keywords Relevant to the Search Term. Number of Ads Running on the Keyword. So I clicked on the phrase match keywords to find out more on the keywords. Volume : The average number of search queries over the past 12 months for the given keyword. CPC : Average Amount Advertiser’s Pay for each click via an Ad triggered using the Keyword – This is beneficial for Google Adwords Analysis. Com. : Competitive Density explains the competition on the keyword in the paid listing. One (1) means highest competition. Results : The number of urls being displayed in organic search results for each keyword. Trend : This is the graphical view of volume of searches done in the past 12 months. But How to Find Profitable Keywords That Not Only Ranks Well But Brings Sales Too? Analyze the volume of a keyword and displayed results. 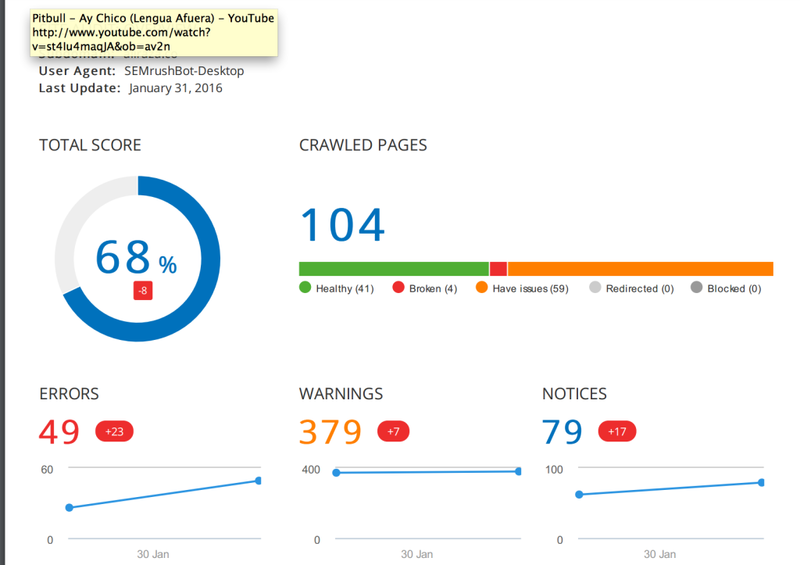 Using SEMRush, investigate top 20 results, analyze their on-page seo using Site audit feature by SEMRush. Analyze all of their back-links and research if you can build links better then them. I also suggest to research on your competitors PA (Page Authority), DA (Domain Authority) and Social Shares of the domain. The above analysis will give you a clear idea on if the keyword can be rank-able or not and how much resources you need to accomplish this task. How to do Competitor Analysis for SEM & Google Adwords via Semrush Review? This is a very important feature of SEMRush. Using this tool, I can find competitor’s online strategies they are using on Google Adwords Network. This is an awesome feature which I can’t thank enough to them. Ever since I have started spying our competitors, I have improved sales as much as of 200% for most of my PPC clients. Understanding Your Competitors is very important. You will have a clear estimates on what cost’s you are going to bear for running your marketing strategy; what is their competitive edge and how they are cashing it;and other things as necessary. You can do competitor analysis using two ways. If we enter our competitor’s website, SEMRush will find all the keywords where they are advertising on Google or where they are ranking in organic results. Note : I’m considering the word ‘affordable seo services’ as a test keyword here and www.highervisibility.com as a competitor. I’m in no way affiliated with them and I’m in no way promoting them as this is for learning purposes only. 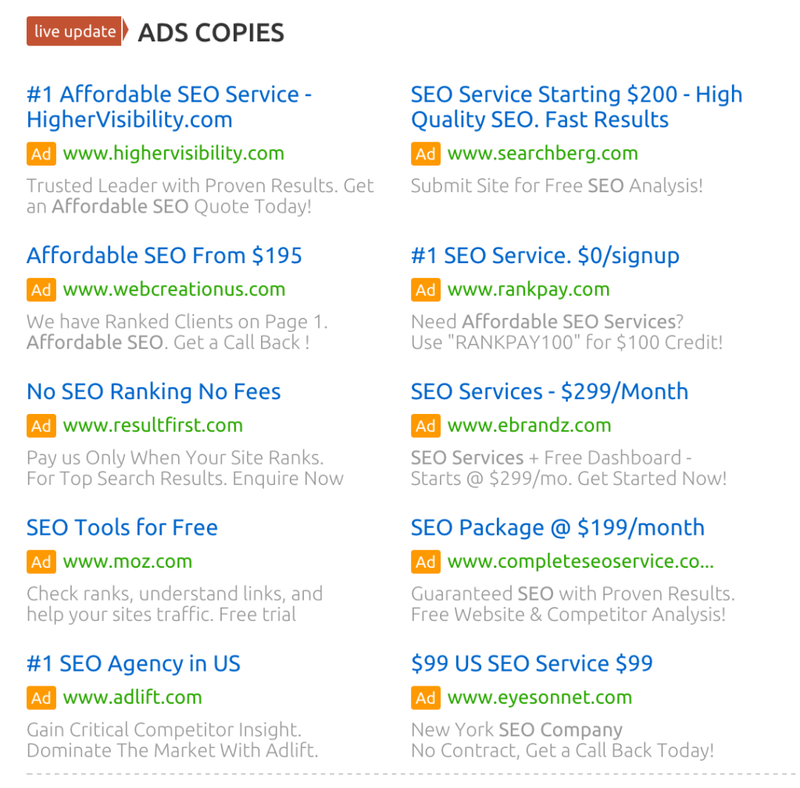 So I entered the term ‘affordable seo services’ and I found following websites advertising on the keyword. So you can see that I was able to find all of their 86 ads through which they are advertising on Google Search. I also have an option to export it for later use too and I can also check what ads he is running for mobile devices. Usually company differentiate ads between different devices. 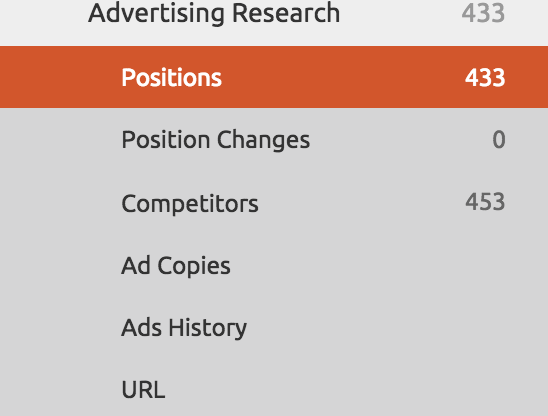 However now I wanted to know on what keywords www.highervisibility.com is advertising, so on the left navigation bar, I selected the ‘Positions’ in Advertising Reach Column and I was able to find 433 keywords on which they were advertising. So this give me a quick idea on how much they are spending on their paid marketing, what kind of ads they are running, what kind of keywords they do have, what is the average competition and cpc (cost per click) of each keyword. Click here to Sign-up for Your SEMRush Trial! How to do site audit using Semrush? This is another very important feature of SEMRush which i personally like it very much. For those of you who are struggling in generating more visitors, good impression and more authority for your website, this is a must have feature for them to use. This tool can help in finding pages with duplicate content on your site. You can find pages which do not have a meta description. Can find pages where there is low Text to HTML ratio. Additionally it can find all other problems which are blocking your SEO Progress in some way. When it comes to tweaking websites for clients, it’s a must have tool. Like even for my site, for me it looks perfect but when i tried to do Site Auditing of my website using SEMRush, I came to know so much error’s in my website which I wasn’t aware of. 51 Pages Don’t have meta descriptions. 198 Images don’t have alt attributes. 36 Pages have a low text-HTML ratios. 4 Pages have duplicate content issues. So let’s get them corrected. The first thing i want to get corrected is broken links because they are hurting the user experience of my website; so I installed a plugin; as being mentioned my top 14 wordpress plugins post. I discovered all the non working links, even in the comments section. These internal and external linking errors were causing me two disadvantages. So it took me around 45 minutes of time to discover and sort out all bad links. 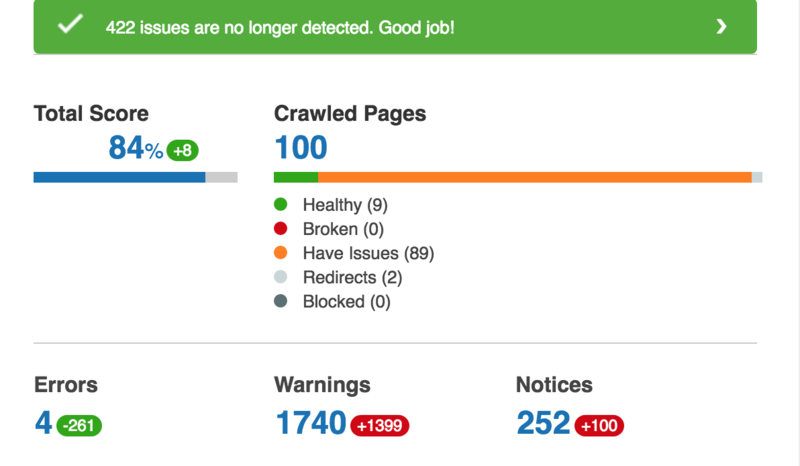 After removing them, I did a test again on SEMRush Audit tool to see how my site is performing in terms of SEO Score. So I got +7 Score, as I was able to increase my Site Score from 68% to 75%. Cool Isn’t it? Now Let me add Meta descriptions to all of my pages and find, how it’s going to effect my score. I know 100% isn’t my target, but I’m looking forward to improve it as much as possible. So now using Yoast SEO, I’m going to add meta descriptions to all pages and see how does it’s going to effect on my site score. I used the bulk editor tool since i didnt add any of the meta descriptions before and it was a great help in saving time, since manually opening the page and adding it will cost me a lot of time, however i did it within 45 minutes. Now let’s have a look now on after adding meta descriptions. 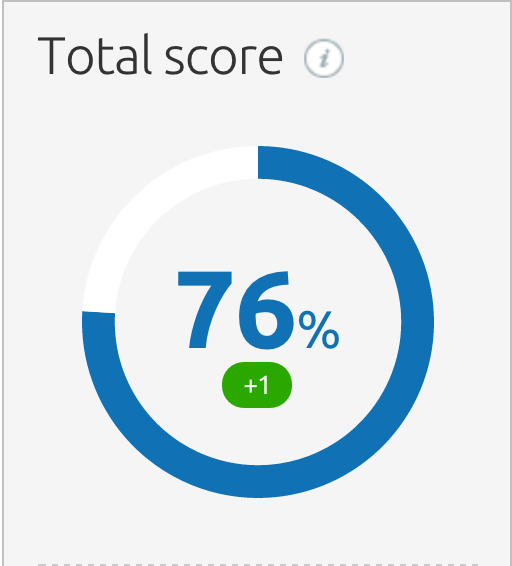 So I was able to get 76% score which is fair enough; I know it can be made better with further features the tool does have like i know I have yet to optimise my images which can further increase my site score from 3 to 4%. For the time being; I think it’s fair enough to say that this is a solid tool to judge your site health when it comes to search engine optimisation. Images are an important part of your blog and it has been rightly said that a picture says thousand words. 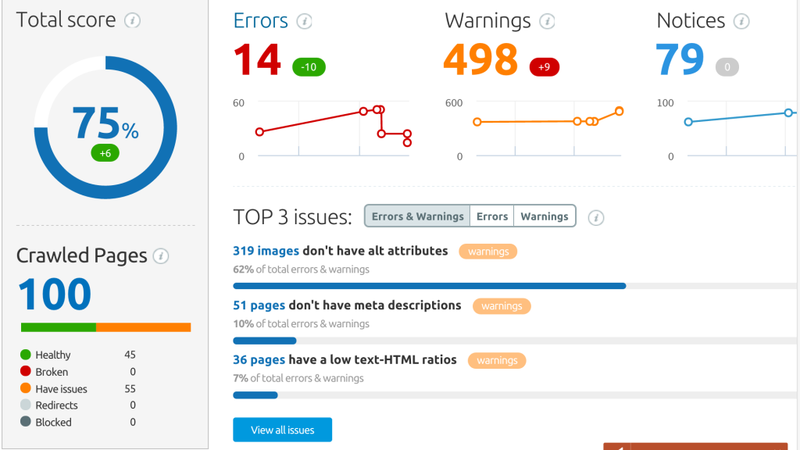 The site auditing tool can help you analyse, find and fix broken images in your site. This may not be a great thing at start, but once your site have more then 50 articles and it will get really difficult to check each page every day so this will be a great help. Google has officially announced Https as a ranking factor. You can’t ignore the fact that your site needs to have an SSL certificate installed. With this feature of SEMRush, you can check out what pages are not yet configured for https and if there is any redirection problem on your site with http or https, it can help you in figuring out. Now once i figured and corrected all of the above things, I reached to 84%. I think it’s good. How SEMRush can help you in Search Engine Optimization? It can help you in doing keyword research for seo, it has a keyword difficulty tool, can tell relevant keywords, phrase match keywords etc. I can also find the competition details too. It can help me in doing competitor research, I can find on which keywords my competitors are ranking and how many back links they do have, additionally I can find see those back links. The site audit tool is an awesome tool to detect on page site issues, broken links, meta descriptions, duplicate content and other issues. The Position Tracking tool can help me analyze where my site is ranking for several keywords. The SEO idea’s is another great addon,not only it compares your site optimization with your competitors but it also generates fresh keywords and bring other relevant idea’s to optimize. It can help you in doing keyword research for ppc. I posted a detailed tutorial on how to find the right keyword for your Paid Marketing and this is a great tool to do it. Using the competitive analysis feature, you can find your competitor’s ads, their keywords and CPC (Cost Per Click) bids. This will give you a clear idea on how your competitor is having an edge and how you can do it too. It can track data on 28 variations of Google and analyze paid data on Bing Search engine. I will personally recommend this feature to everyone, I have been using this feature to spying on our competitor’s and it’s a great help to me and my team. So click here to get your free SEMRush trial now. Google’s Display Network plays a huge role in online search advertising market and with SEMrush’s Display Advertising feature you’re able to analyse how other companies create successful display ads. It can help you in finding your competitor display ads, bids, settings, you can also view the amount of ad impressions and the ad’s ability to generate conversions. This makes SEMRush exceptional over the other tools available in the market. Interestingly, they also help you in deeper targeting by providing a SEMrush Adsense Publisher’s Report which can help you discover the websites your competitors are advertising. It’s extremely important to know this, because not every relevant site is generating leads, so finding exact sites where your competitors are targeting is a great feature. How It can help your business? Is SEMRush for me? As mentioned above, it’s a great product to have. I cannot emphasise enough on how much important it is to track and spying your competitors, not only it will help you in finding loop holes in your own strategy; but you can also learn your competitor’s USP (Unique Selling Proposition) and implement it for your own company too, that was the pure reason, I wrote this SEMRush review for you guys. If something is working for me, I will definitely want others to get benefit from it. No matter what product/service/site you have, you always need to find out what’s happening in market, what are the right keywords to target for your site, what are your competitor’s back links, what are your site issues which you are not aware of, SEMRush is your best bet in all of them. Definitely, it’s a must tool to have for every business, individual or co-operation who have an online presence. If you are still not convinced, then i highly recommend you to try their free trial before deciding whether the tool is right for you or not. But what about Pricing? Let’s have a look on what SEMRush is offering. 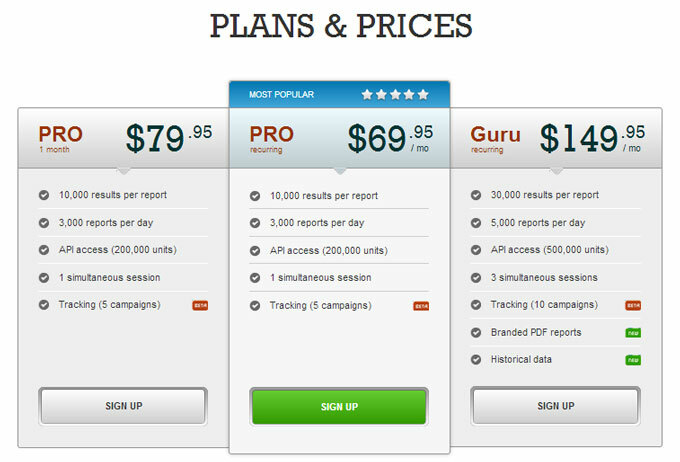 If you are a starter, then I will recommend you to go with PRO plan and then upgrade it according to your needs. For most users, the PRO plan is a perfect plan to go with, however if you have higher needs or you handle Digital marketing needs for your clients too; then you may chose the package as per your requirement. If for any reason, you are not satisfied with the product or if you are looking to get your money back, they have a 7 day no obligation refund policy to claim on. Understanding the importance of customer satisfaction, they have a great after sales support to deal with. You can mail them, call them, send a message on skype, twitter and they do have a contact us form on their site too. For more details, click here. It Doesn’t matter if you are a beginner or a professional, SEMRush is undoubtedly the must have SEO/SEM Tool in the market. So grab your free trial and start dominating the online market! Good luck! I will personally rate the tool at 8.5/10. Overall It is an essential market tool which I believe every blogger, digital marketing professional and every business owner should have it. Popular question & answers related to this digital marketing tools are discussed here. As mentioned above, it’s not free. As per their page, SEMrush offers three options for monthly subscriptions: Pro for $99.95, Guru for$199.95 and Business starting at $399.95. All three plans are recurring subscriptions. Can SEMRush help me in improving my organic rankings? Yes, even i recommend to use it in case if you are working on improving your organic rankings on search engine. In fact, it personally helped me in grow rankings of my sites. Does SEMrush helps with Youtube Video SEO? Yes, it can help you in video ranking of your Youtube videos. Both are great tools. Moz is also widely known for helping people with rankings, but it does not help much in Paid Marketing. Ahref is primarily used for organic rankings and SEMRush is beneficial for both organic and paid rankings. Both Softwares have similar features however SEMRush can give you more countries in depth data without increasing cost, unlike Spyfu. Is this a Paid SEMRush Review? No. This SEMRush Review is not paid or it’s or it’s not done by SEMRush Editorial team, rather it’s a personal effort and i tried to be neutral to give you a honest opinion about the tool. Without a doubt, SEMRush is a beast for digital and internet marketers. I tried to discuss every possible feature of SEMRush so you can see a detailed review on it. Many marketers use it, in fact i use it most of the time myself to analyse my site, check my competitors and for a lot of other things. It is indeed of one of the best tools to start working with. If one thing i can recommend you, is to get SEMRush. What do you like about this SEMRush Review? Which Features would you use in SEMRush? Do you think is there any feature’s it misses on? Do you want me to add anything more in this article? Please let me know your thoughts via comments section, thank you. Start your SEMrush free trial now! Thank you Mohsin for your kind words! I’m glad that you like it. Because it included the tutorial as well and I tried to expose almost all of it’s features. Being a blogger, for competitor analysis, etc I use LTP ( Long Tail PRO) and this one, Semrush! You explained almost all the features of this awesome tool, and I was not familiar with some of the features above. Thanks for sharing this detailed review…. P.S. All the new changes look cool! Long Tail Pro Review . I would like to congratulate to you on such a detailed post on all the aspects of SEMrush. Its indeed one of the best tools for competitive analysis and you have put it altoegther really nicely. One think that i want you to consider is replace ‘exposed’ word with any positive word as it looks negative. Thank You Umair for stopping by and leaving such a great comment! Excellent Review Brother, Can i use Long Tail Pro for advance work? Nice Article, i am using SEMRush, its one of great tool. And of course, nothing is perfect so that’s why I’m giving my recommendation in a shape of comment. I know you are already aware of this but still, I’m forced by my mind to comment here that it is always better to keep your links as short as possible. Google loves short URLs and Ranks Them a lot. I think it will do much better for you. Thank you Rahat, I really appreciate your opinion and concern, but this article was orignally written in the start of 2016 and mistakenly, the url had all the article title in it. Ali, another awesome review from your side. You have briefly explained in detail about the benefits as well whats missing in semrush. Of all the reviews i have searched online, this is by far the best Semrush review I have ever read online. Thanks Shahid for such great comments. So when are you going to buy semrush and start working? Ali this is my first visit on your site. I came up after searching the semrush review on Google. I usually dont write comments but this is my first comment on any blog because this is exceptionally GREAT article. Loved the way on how you showed each feature of it. Thanks Ameel for such great words, appreciated. Thanks Ali Raza for your review. SEMRUSH shows the keywords that are ranking for our site, it does not provide the list of keywords that actually sent the traffic to our site. We might rank high for certain keywords, but it does not mean that people are actually using those keywords and then being able to find us. Do you know any tool that gives a full list of keywords that people used to find our site? Google Analytics gives a short list, but shows the most as Not Provided. I also want to see our site ranking for certain keywords that I myself choose and monitor the rankings to see how I can improve the rankings by SEO implementations. Is there any easy-to-use tool to provide such historical data that can also be exported? I know AuthorityLab, but it seems that fetching data to their report is extremely slow. Is there any alternative tool? I don’t want to manually check site ranking for one keyword at a time, and then put the data to Excel manually. Hi’ Ali Bhai wow very well detailed and briefly explained review about sumrush. I love the way u explained each and every single thing in this review. Thanks for this great tutorial. great Review @aliRaza sir, I read it and its great and in-depth of this tool. Great review, so far so good. Learned many new things about SEMRush, the way you reviewed it, you showed quite functions which can help in real life. Thanks for doing such great work. Welcome Bilal, glad you liked it. 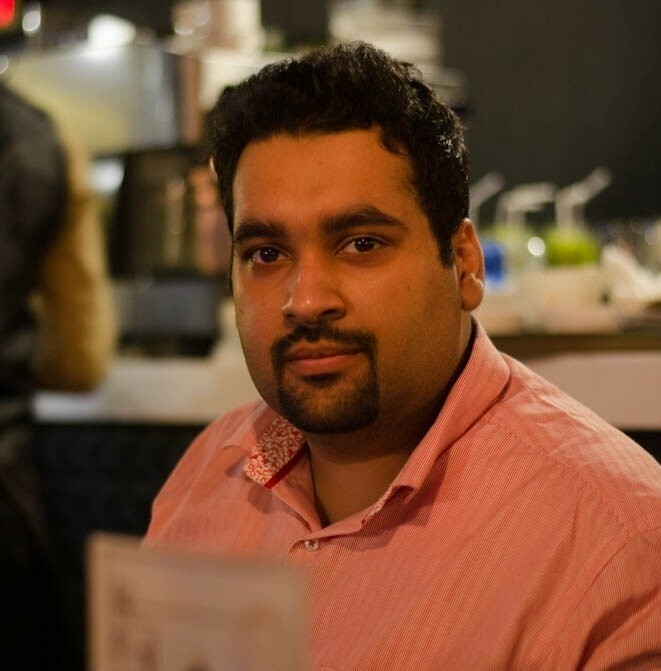 Ali, I have been following you for a while and i already admire your work in digital marketing industry. But this article is exceptionally great and awesome. This is one of the best review i have ever seen for a digital tool or software. Thanks Jack for your wonderful Feedback. Can I track Google Display Campaign Data Using SEMRush? Yes you can do it as well. Can i constantly monitor my SERP rankings through this tool? I came on this page while i was searching SEMRush review on Google. Thanks Ali for putting such a nice review. I didn’t know many features of it such as Site Audit. Wow, this post is amazing, my younger sister is in digital marketing and I’m going to recommend your article to her. Hello, I check your blog regularly. Your article writing style is awesome and they are great help for me. I’m a regular reader of your blog. Excellent article. I’m experiencing a few of these issues as well and this tool proved to be a major help.